The Arizona Diamondbacks have reached an agreement with Greg Holland on a one-year contract that will guarantee him a $3.25MM salary. As well as the guarantee, Holland can earn up to an additional $3.5MM in incentives that could push his total earnings to $6.75MM for the upcoming season. Holland, 33, was drafted by the Kansas City Royals and emerged as a late inning lock down reliever and eventually their closer. Arguably Hollands best seasons were in 2013 and 2014 when he racked up a combined 93 saves while pitching to a minuscule 1.32 ERA over 129.1 innings and striking out batters at a 13.4 K/9 rate. Holland went on to put up another good season in 2015 before missing the entire 2016 season due to an arm injury. The 2017 campaign was a great comeback year for Holland as the Colorado Rockies signed him after his injury and he went on to pitch another solid year earning his third All-Star Game selection as well as leading the NL in saves with 41. The Rockies offered Holland the qualifying offer after seasons end which he declined in favor of free agency. This ended up being problematic for the closer as he was not able to secure a contract until him and the Cardinals came to terms but by that time Spring Training was already in progress. 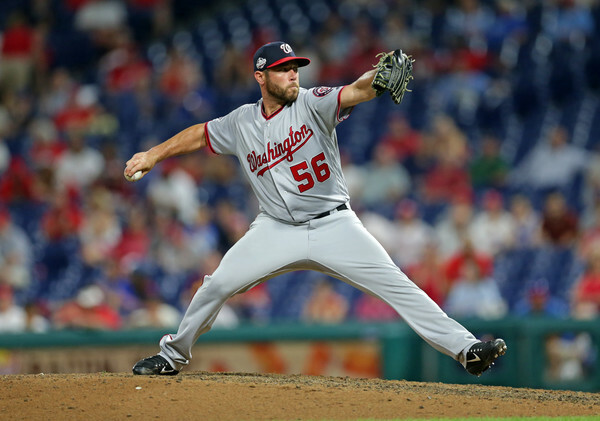 The results for Holland was a rough start which saw him put up a terrible 7.92 ERA over 25 innings and he ultimately was shipped to the Nationals mid-season. With the Nats, Holland seemed to regain his old form by closing out the season with a 0.84 ERA over 21.1 innings in the nations capital. Holland, with a full Spring Training under his belt to start this season, will be out to prove that the beginning of last season was a fluke and the later half is the pitcher he truly is. Arizona could potentially have a steal on their hands if Holland pitches like he has done in the past on the salary that he will be receiving this year. It is not known if Holland will compete with Archie Bradley who the Snakes have used as their closer recently. Bradley is capable of pitching multiple innings as he came up as a top starting pitching prospect with the club yet never stuck in the rotation. They could use either player as closer and the other to setup but their exact intentions are not yet know and we will have to see how Spring Training plays out for both hurlers. With Arizona being in a rebuild type stage they could easily flip Holland towards the deadline should he pitch anywhere close to his career numbers.